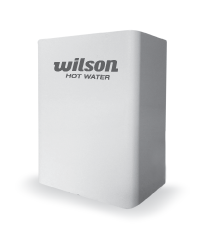 The Wilson A5 Series is a continuous flow instantaneous electric hot water heater. The A5 is energy efficient as it will only heat water as required. The heater has no storage and will continually heat as water passes over the heating elements. The A5 does not require a safe tray or water saving devices. The Wilson A5 can be installed virtually anywhere and is suitable for areas that have space restraints. The A5 is available in three models; 18, 20 and 23 amp to cater for most installations and is fully serviceable. This unit will deliver sufficient hot water for factory amenities, small domestic dwellings and shops. 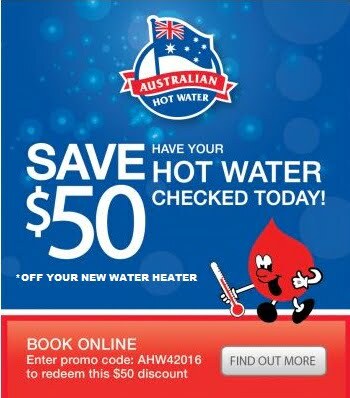 Wilson Customised Hot Water commenced operations in Melbourne in 1930 producing low pressure water heaters. Wilson products are manufactured from either copper or stainless steel, consequently offering a product that is unmatched in quality. With support of engineers and qualified trade persons, Wilson can be counted upon to provide a solution for almost any application. Wilson Customised Hot Water is constantly looking to develop new products and in 2006 Wilson purchased the hot water brand Hocking. For more information on the Wilson A5 electric and gas hot water systems, visit the Wilson Hot Water website.